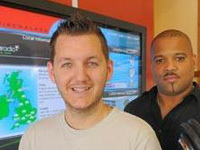 Firewalker Health Club is the home of the best fitness classes in Wolverhampton, Midlands, UK. Members can now keep fit and informed thanks to the new high tech plasma TV screens powered by digitalsignage.NET and installed by Chamber TV. 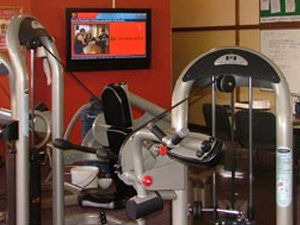 The use of digitalsignage.NET ensures that a constant stream of news, up to date information and advertising is displayed on the screens every day, making the gym more attractive and the workout more enjoyable. ads of local companies in the third zone, in exchange for advertising space on their screens. digitalsignage.NET not only allowed Firewalker to add a high- tech edge to their gym but also to turn their digital signage network into an additional source of revenue. This entry was posted in and tagged advertising, digital signage, digital signage for gyms, digital signage software by Dynamax. Bookmark the permalink.